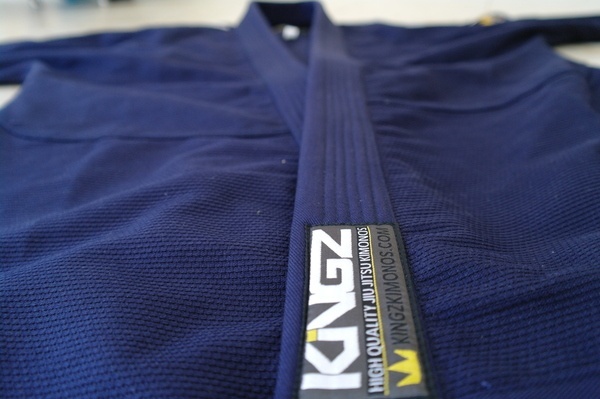 Get the latest Kingz Comp 450 V4 gi at Amazon now! The pants were a couple inches too long for me (A3 pants, 5’10” height) but that’s a personal issue. I usually fit into a nice A3 top and A2 pants. No fault of theirs though. An updated version, the Kingz Comp 450 V4 can be found at Fighter’s Market. For the “B” measurement in your graphic, is that from one end of the sleeve to the first sign of collar, or from one end of the sleeve to the middle of the gi (if a line went down the center)? 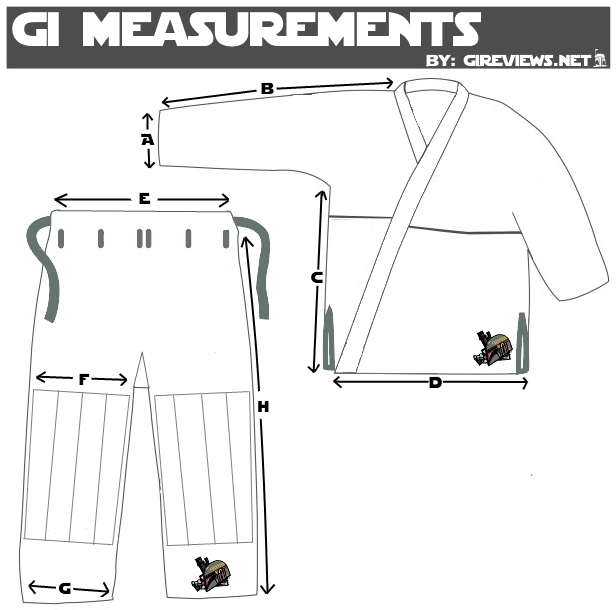 I ask because if it is the first one, then that could vary wildly based on how a company designs their collar integrated into the gi, whereas a more consistent measurement between gis would be the end of one sleeve straight to the end of the other sleeve (cuff-to-cuff). Any chance of cuff-to-cuff measurements in future to get a better idea of sleeve length? Hey Mark! We will definitely look into doing it. I’ve measured around 20 A3 gis and I’ve found it to be a pretty consistent measurement thus far. I went with A3L. I’m 6 foot 2, 180 pounds. I ended up having to get the sleeves tailored in as they were way too long. The pants couldn’t be any longer otherwise they’d cause trouble. Cuff-to-cuff was 71 inches. Pants length was 44 inches. I fell nicely into the middle of the supposed range for this size too. I’m going to try a Ctrl Industries A2L next, if Budovideos ever gets the Rook II in at that size.